It’s been a frustrating January for nearly every Liverpool fan, truly was the textbook definition of a roller-coaster ride. The club finally brought in big Virgil in a record-breaking transfer to open the new year, just in time for him to head home the late game winner to knock out the Bitters in the FA Cup. Happy Days! Then we let Philippe Coutinho move to Barcelona in a move that made little sense for anyone at the time. It was the end of days. More on that later. A week later we thrashed Manchester City to end their unbeaten run. All was right with the world again! Then we go to Wales and lose a dreadful 1-0 match against bottom-dwellers Swansea City, followed days later with a dismal 2-3 defeat at Anfield in the FA Cup against West Bromwich Albion. 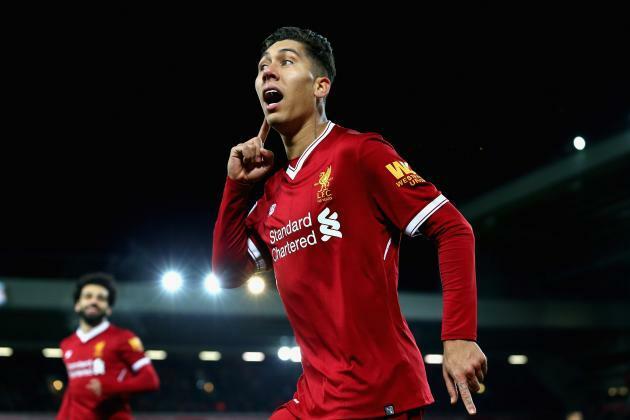 As the final days of the month ticked away, we watched our rivals acquire new players near the transfer window deadline while Liverpool held firm with no new additions. The depths of despair had been reached. “FSG Out! Klopp Out!” dominated my Twitter-feed as the month concluded. Still we ended the month solidly in third place with some room to spare between us and fifth place. Yet there remains panic in the Kop as many fans seem skeptical with about 15 weeks remaining in the season. I’m not here to defend the transfer policy, nor am I here calling for anyone’s head. The purpose of this blog is to remind you, as I always do at the beginning of February, that it’s time to put your focus back on the football. Before I address the actual play on the pitch, I want to be perfectly clear with my opinion about the January transfer window. I don’t believe that the decision to let Coutinho go to Barcelona was as simple as most people are making it out to be. Yes, he was under contract with no release clause. It’s true that he can’t play in Champions League for Barcelona, and it’s also true that he had acted like a true professional all season long having failed to secure this same move last August. I think that it’s more than simply making him stay and play out the rest of the season under his current contract. While he may not act as an overtly bad apple like others would, his attitude around the team may subtly have an adverse impact with other key players. You must trust that Klopp and the staff can see for themselves, and it’s possible that not having Coutinho’s full energy and attention for the business end of the season could possibly have done more harm in the locker room than his feet could do good on the pitch. For this reason, I believe that letting him leave in January was probably the right move, and it has no connection to the lack of bringing in a replacement. Fans have suggested an irresponsibility by the club for not bringing in reinforcements while letting one of our best players leave. Surely we could’ve added more talent to the depth of the squad, right? I won’t deny that we could’ve. They tried to bring Naby Keita over early, but Leipsig wouldn’t let that happen. Even though we received an influx of money from the Coutinho sale, budgets aren’t unlimited. The type of player that suited Klopp’s preferred style may not have been available. Manchester City failed to secure the services of Riyadh Mahrez because they refused to pay an inflated valuation of the winger. But you think Liverpool should’ve? January has always been and always will be a seller’s market. It may be painful to watch Arsenal add a player like Aubameyang (for a hefty fee of £56M), or Chelsea adding depth with Olivier Giroud, or Spurs adding Lucas Moura. If spending that money now means we can’t get the top players we want in June then I’m not sure it will be worth it. This philosophy proved right with Virgil van Dijk, who we may not have been able to afford had we picked up “Plan B” in late August. And let me remind you that just because you add a player that performed well under a different system in a different league, or one that has a relatively high rating in FIFA ’18, doesn’t necessarily make the whole of the squad better. I also don’t agree with the assessment that we are one serious injury away from the 2018-19 Europa League. That’s the sort of self-loathing attitude that has driven me to write this article. As a die-hard Philadelphia Eagles fan, I was told my numerous “experts” that our season was done when quarterback Carson Wentz tore his ACL back in December. Yet on Sunday they will be playing in the sport’s biggest game of the year with a backup quarterback that few people trusted could get them there. The fact of the matter is this… you just don’t know what will happen and you don’t know what players are capable of when given the opportunity. It’s time to forget about the January transfer window. The past is the past. It’s time to return your focus back on the football. Thirteen matches remain in the Premier League season. Liverpool are in great position with only two things to play for. The always coveted “Top Four Trophy” as well as European Cup #6. It’s ambitious to think we could win the Champions League, and as fans we shouldn’t worry too much about that until April. Just enjoy the ride with hopefully a run into the quarterfinals and beyond. The critical objective is finishing in the Top Four. That’s what makes this Sunday’s clash against Tottenham the biggest match of the season. The proverbial “six-pointer” at Anfield could really stamp ourselves on solid ground in the race to return to the Champions League. When we defeat Spurs on Sunday, we will be five points clear of them with only twelve more to play. We’ll also be no worse than eight points clear of Arsenal depending on how they fare against Everton. Looking ahead to both of their schedules, Tottenham still have three of the top clubs to play down the stretch (Arsenal, Man City, and Chelsea). Meanwhile their heated North London rivals at Arsenal have three such matches as well (Tottenham, Man City, and Man United). Arsenal are also considerably behind in points and have some serious catching up to do. It just may be that Wenger has no choice but to steal the Klopp strategy from 2015-16 and Mourinho’s similar plan last year, going “all-in” in the Europa League as their best bet to get into the Champions League and not making a complete mockery of this campaign. Chelsea is seemingly on the decline recently having just lost to Bournemouth at Stamford Bridge, and they are about to embark on an incredibly difficult stretch with away matches at Man United and Man City scheduled right around the time they face Barcelona in the Champions League knockout stage. Not a good time to lose form. After this weekend, Liverpool only have two remaining matches against Top Four rivals, both on the road at Manchester United and Chelsea. It’s unfortunate that we head to Old Trafford with only four days rest following our Champions League home match with Porto. Hopefully we can make that match a moot one with a strong first leg result in Portugal. And if United fail to get a good result in Sevilla on their first leg of Champions League, Mourinho will be forced to consider squad rotation to save some legs for their return leg with Sevilla only three days after we play them on March 10th. After we beat Man United at Old Trafford, Liverpool will only have eight more Premier League matches with eight weekends remaining, and only one of those matches is against a Top Four rival at Chelsea. Let’s not forget about the FA Cup either. It would’ve been nice to make a run at some domestic silverware, but that didn’t happen. The past is the past, so we focus on the future. Chelsea, Man United, and Spurs all look to be favorites to advance to the FA Cup quarterfinals following favorable draws, so that means their March 17th fixture will have to be pushed back into April or May. While Arsenal bowed out of the FA Cup as well, they should have additional fixtures to faraway continental lands as they progress towards the Europa League final. More congestion for all of these clubs will not be a good thing for them. It’s true that we may have similar issues as we progress in the Champions League, but won’t bother me as much when we are playing Crystal Palace, Everton, and Bournemouth as our Premier League opponents at that time. In conclusion, I want to remind everyone that we all are fans with passion. We must all remember that we don’t have all the information, so we can’t have all the answers. And we certainly can’t predict the future. What we can do is focus back on the football. Stop worrying about tweeting the world “I told you so” if supposed calamity strikes, and start anticipating the joyous eruption of watching the Reds pull out another victory. Sunday’s match is huge. Personally I am looking forward to celebrating all day, with both three points to celebrate in the early afternoon and a Lombardi trophy to celebrate in the late evening (and early morning). I’ve already taken Monday off from work, and have cleared Tuesday’s schedule just in case. It’s going to be an epic day, and I hope you start it by joining me at the pub!